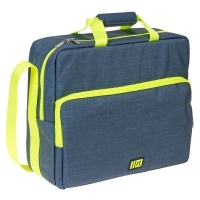 The bag "Helsinki" from the rt line is a real allrounder. 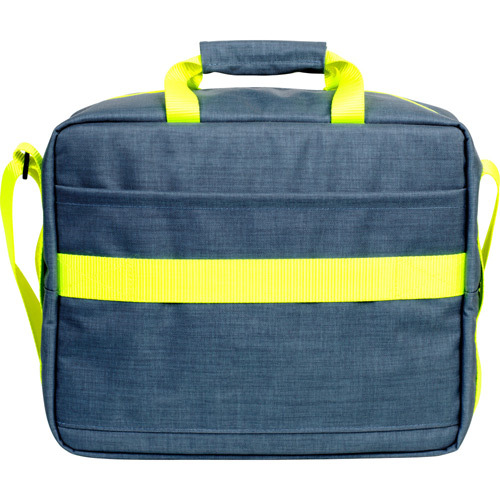 It can be attached to a luggage trolley while traveling. 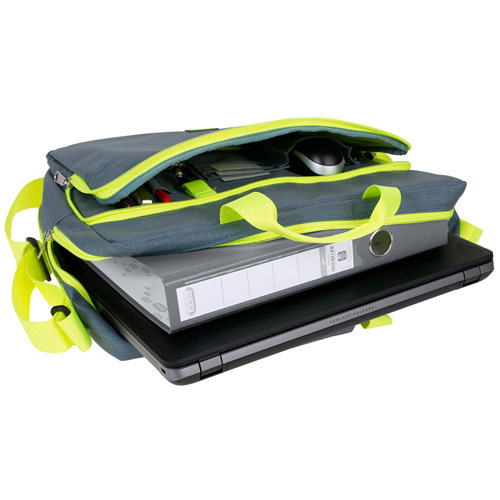 For fairs it has a quick draw pocket to easily store documents without having to open the bag. 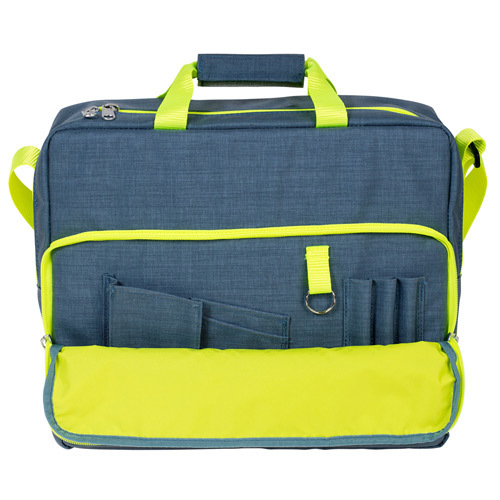 It can also be used as a notebook bag, because it provides good protection with your all-round padding. Even a wide DIN A4 size folder finds its place. 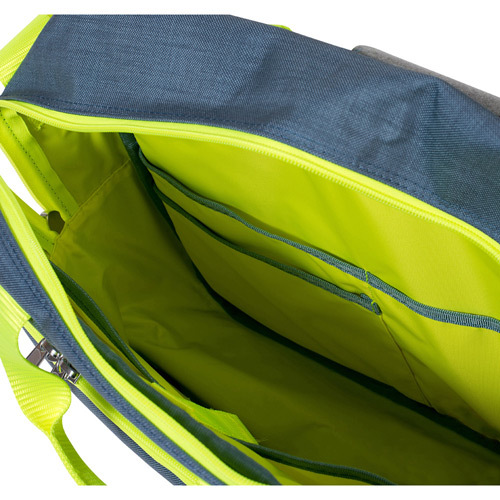 The yellow inner life of the bag makes it possible to find the contents even in low light conditions. 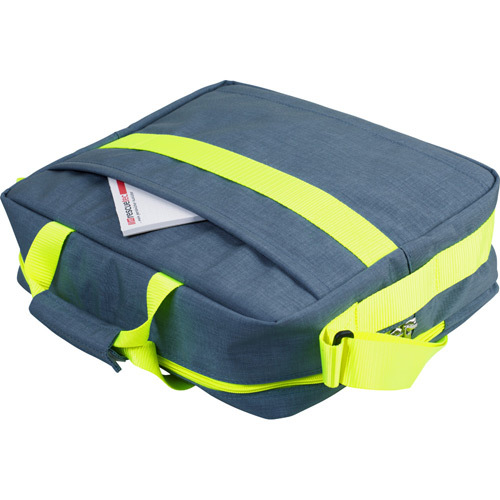 The shoulder strap is integrated directly on the bag and padded for comfort. • compartments for pens, business cards etc.